Gulet yachts are made of wood and its style only belonging to us in the Earth , always are the most special vacation options in the blue voyage. Cruise with Our Gulets with its own structure, today, It is among the most demanding blue voyages of the world. 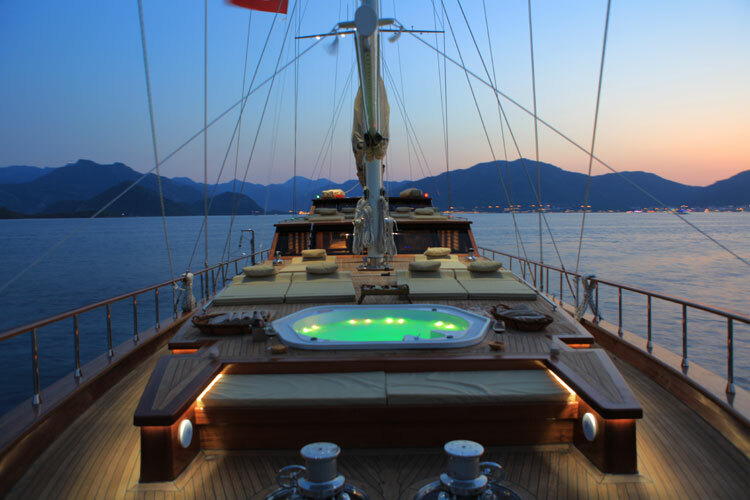 You should also live this experience.You will find peace with the different Luxury and Private Gulets yacht charter hire in turkey which one provides you all kinds of comfort as you wished. You should just join the tour in the Aegean and Mediterranean bays where.The blue and green made lace crafts. Simply visit us www.guletlife.co.uk Enjoy the pleasant evening with a nice chat with your friends;and relive tiredness of whole year in holiday and let off steam of the city life and business .